It’s the oldest beauty brand in the world. And for generations, the name of Yardley of London has conjured up fragrant images of lavender and lace, its powder puffs, rouge and flower-scented sprays standing the test of time to be a frontrunner in producing the most luxurious treats. 1. The story of Yardley of London began almost 400 years ago, when a young man was granted a concession by King Charles I to provide all the soap for the City of London. Sadly, the particulars of this enterprise were lost in the Great Fire of 1666. Only one detail remained: the key ingredient in Yardley of London’s soaps was lavender, which is known for its soothing properties. 2. In 1770, the Cleaver family re-established Yardley of London, creating the soap and perfumery business we know today. Through astute business and a convenient marriage, the Yardley family once again took over the operations, and by the early 1800s Yardley of London was back in family hands. 3. By 1910, business in English lavender soap was so brisk, at home and abroad, that the company opened a shop on 8, New Bond Street, London. It became a London landmark. 4. 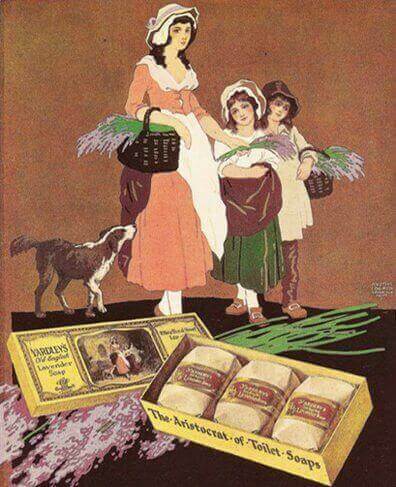 By 1913, Yardley of London was using advertising techniques way ahead of its time by adopting Francis Wheatley’s Flower Sellers painting as the firm’s trademark. This painting is one of 14 known as the Cries of London. It became so well known and synonymous with Yardley, that people almost forgot that in the original painting the models sell yellow primroses – not sheaves of lavender, as in the Yardley version. 5. In 1921, Prince Edward awarded Yardley of London a royal warrant – the first of many (the most recent one came from Prince of Wales, who appointed Yardley of London as his manufacturer of toilet preparations in 1995). 6. 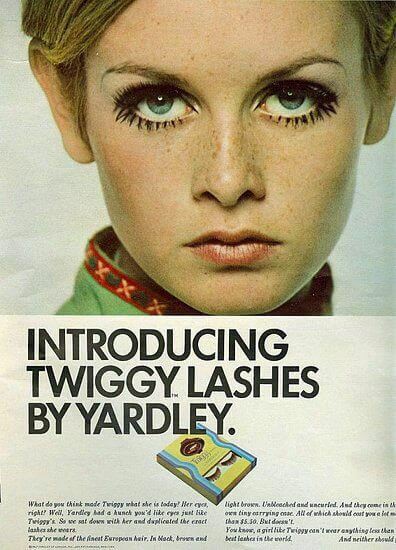 In the decades that followed, Yardley of London remained synonymous with lavender but also branched out into makeup, cosmetics and other scents. 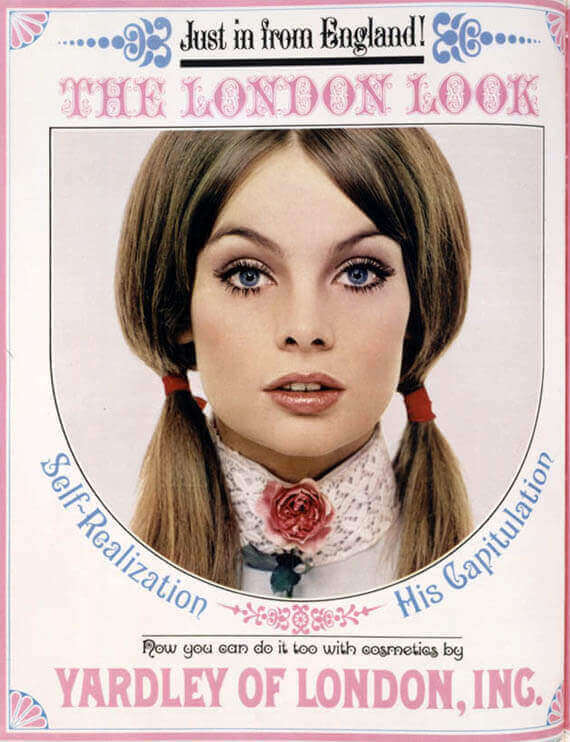 By the 1970s, the brand was exporting 1,000 cosmetic lines to 130 countries. 7. Through much of the 20th century, any model’s career was given a boost by being the face of Yardley – including Jean Shrimpton and Twiggy in the 1960s, and Linda Evangelista in the 1990s. 8. In 1971, Yardley of London sponsored the British Racing Motors team in the Formula 1 Grand Prix, covering the cars with black, brown and gold ‘Y’s’ reflecting the motto of Yardley’s range of men’s toiletries. 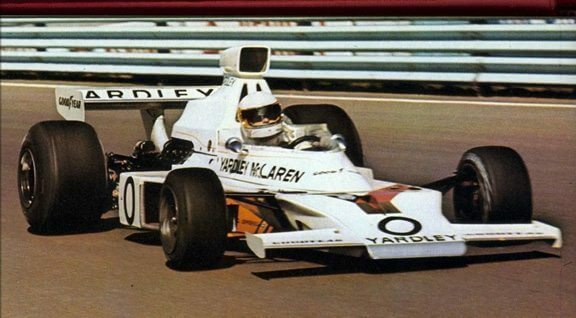 In 1972 the company moved on to McLaren, which it sponsored till 1974. 9. However, the company failed to meet head-on the cosmetics produced by new, younger labels such as Tommy Hilfiger, Calvin Klein and Donna Karan. In 1998, it went into receivership, after incurring debts of 120 million sterling pounds. Later that year, its Bath Luxuries division, which included the English Lavender, Lily of the Valley and Sandalwood ranges, was sold to Wella. Later it became part of Procter & Gamble, when the conglomerate bought Wella. Through the years, other regional divisions were parcelled out to Wipro, the Jatanias’ (Britain’s fifth richest Indian family) and so on. 10. Today, this quintessentially English company is enjoying a revival – with lavender at its heart. Lavandula augustifolia, its preferred variety, is still specially and exclusively grown for Yardley London (the ‘of’ has been dropped) in the South of England.